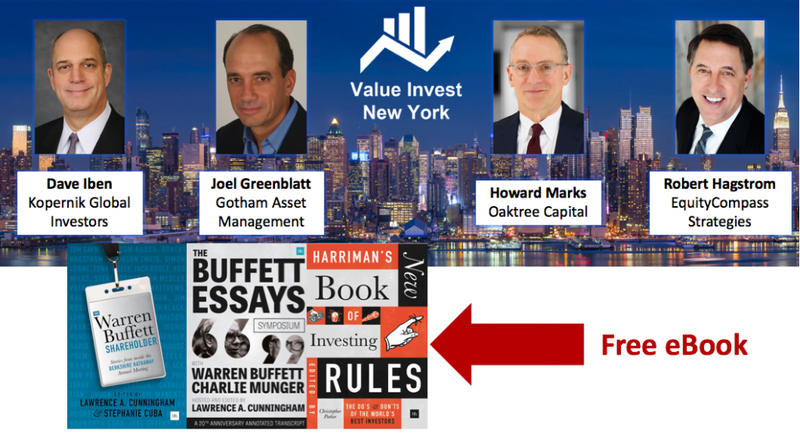 We received an email from the organizers of Value Invest New York last week which revealed a speaker line-up which includes Joel Greenblatt, Howard Marks, Rajiv Jain, Andrew Wellington and others. Other than the renowned Value Investors above, the event will also be a showcase for other Value Funds to talk about investment ideas from the United States and around the world. You can see the full speaker line-up here. The speakers at the conference will provide valuable insights into the methods and approaches that have made them successful, comment on the investment climate and offer specific investment ideas.